Welcome to one of Japan´s oldest and leading matsuris (festivals). Som Nomaoi is a three day traditional mastsuri in Minami-Soma with more than 1000 years of history. 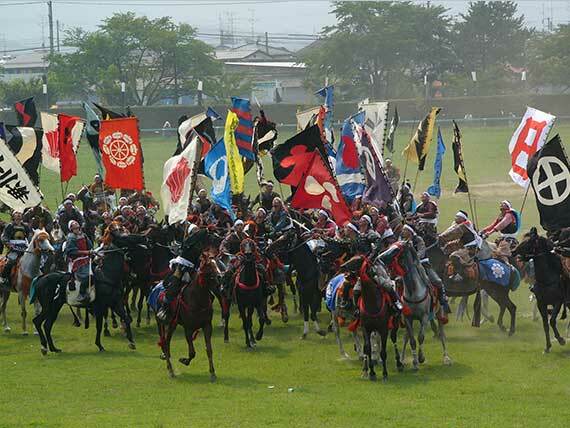 The highlights of the festival are two events: One is when samurai horsemen dressed in yoris (armors) competes with flattering banners in a race that stretches 1000 meters. The other event the same day is when fireworks pile up different colored temple flags which hundreds of samurais try to capture when the flag falls to the ground. 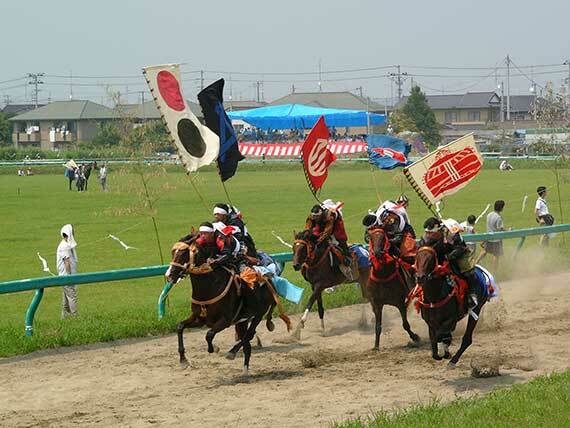 Both events take place on the Hibarigahara field in Mainami-Soma. TOP of JAPAN.com guarantees that this is an exciting festival that also from a traditional as well as cultural point of view is exceeding most of Japan´s events. In 2018 the festival will take place 29-31 July.